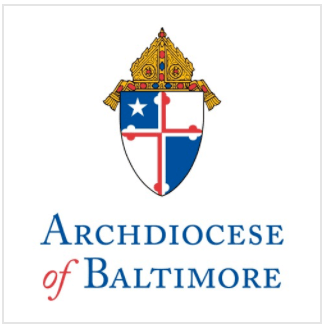 Archbishop Edwin F. O’Brien, Archbishop of Baltimore, announced today the creation of a Department of Evangelization within the central services offices of the Archdiocese, and introduced Paulist Father John Hurley as its first Executive Director. Evangelization, a primary focus of the Archbishop since his arrival in October 2007 and one of five mission priorities of the Archdiocese, had previously been a function of the Department of Catholic Education Ministries, which will be re-organized following the recommendations of the Blue Ribbon Committee on Catholic Schools. The new Department of Evangelization will be charged with coordinating essential pastoral ministries in carrying out the Church’s mission of proclaiming the Word of God. Father Hurley has spent the past seven months serving as a consultant to the Archbishop as he prepared the framework for the creation of the new department. Recognized nationally as an expert in the field of evangelization, Father Hurley has served as Executive Director of the National Pastoral Life Center from 2007-09 and Secretariat for Evangelization for the United States Conference of Catholic Bishops, 1997-2005. In the latter position, he oversaw ongoing implementation of Go and Make Disciples, A National Plan and Strategy for Catholic Evangelization in the United States. The new Department of Evangelization will encompass the Divisions of Catechetical Formation (formerly Evangelization & Catechesis), Deaf Ministry, Disabilities Ministry, Ministry Formation and Development, Worship, and Youth and Young Adult Ministry. Father Hurley entered the Paulists in 1970 and was ordained to the priesthood in 1977. He graduated from Catholic University with a BA in Religious Education, a Master of Divinity degree from the Washington Theological Union and a Doctor of Ministry degree from the Jesuit School of Theology in Berkeley. He served as founding director of the Paulist Center for Catholic Evangelization in Portland, Oregon from 1978-1984, Director of Development for the Paulists from 1984-1991 when he was appointed pastor of historic Old St. Mary’s Cathedral in San Francisco. After serving as pastor for six years, he was appointed to the U.S. Conference of Catholic Bishops. For the past six months, Father Hurley has served as Administrator of St. Austin Catholic Parish in Austin, Texas. He will officially join the Archdiocese the first week of July.